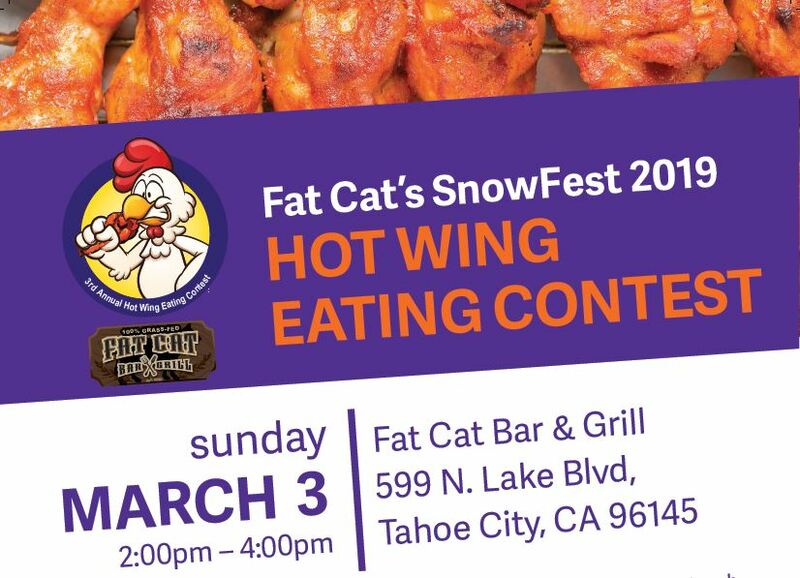 Dig out of this week’s storm and join us Sunday, March 3th, for Fat Cat Bar & Grill’s Third Annual North Tahoe SnowFest Hot Wing Eating Contest, benefiting our work to Keep Squaw True! What better way to celebrate all this snow, especially after the Sierra Sun reported that more snow has fallen this February at Squaw Valley’s upper mountain than any other month in the resort’s history – over 290 inches! So come join us as we watch the fastest eaters from Tahoe and beyond test their mettle against each other and Fat Cat’s spicy wings to become North Tahoe SnowFest 2019’s wing eating champion. We’ll be there raffling off Keep Squaw True gear, as well as a signed copy of both Squallywood and the poster for G.N.A.R. The Movie. Join us from 2 to 4pm, Fat Cat will be offering 30% off Bloody Marys and their signature wings to all spectators. What better way to wind down after all this shoveling and skiing than with your fellow conservationists? Sierra Watch staff will also be on hand with campaign updates. For information on attending, registration and rules to compete, and more, go to the Facebook event page. The wing eating competition is open to all amateur eaters 18 years or older who are in good health. 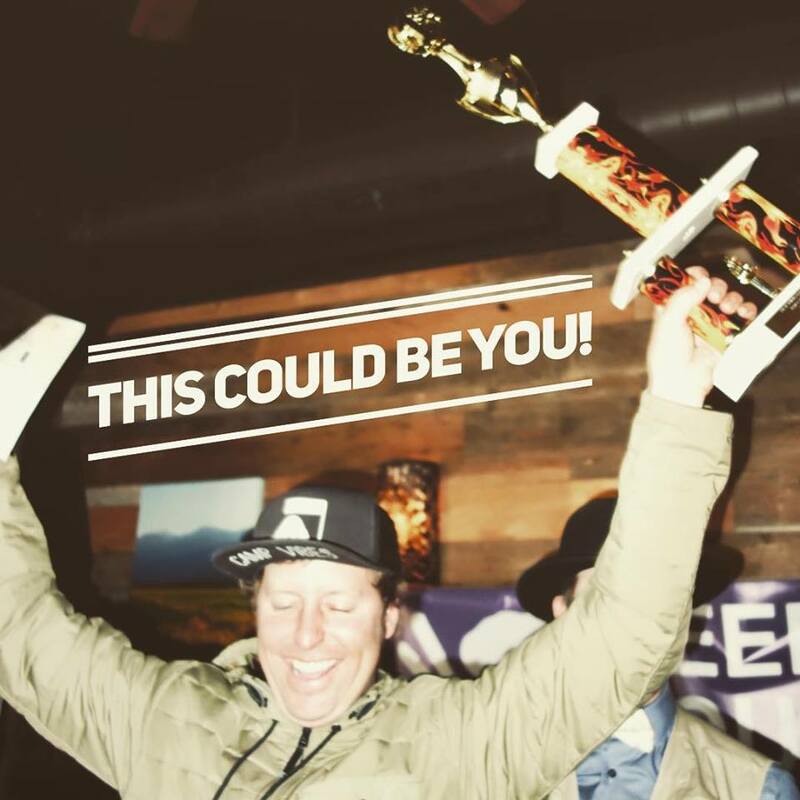 Registration is $30 to compete & is currently open — just drop by Fat Cat Bar & Grill in Tahoe City, day-of or in advance to register, open everyday for lunch and dinner! 1. Each competitor will start with exactly thirty wings covered with sauce. 2. The contest will last exactly three (3) minutes. 3. The competitors will consume their allotted wings and place the eaten chicken wing bone back into the wing receptacle. 4. If a competitor finishes their allotted thirty wings before the contest is complete, they will be given an additional ten wings to consume. 5. Once the contest is complete, each competitor’s wing receptacle will be taken to be weighed by a Judge. 6. The winner will be determined by the total weight of wing meat eaten, measured by an official contest scale in pounds and ounces by the Executive Judge. In the event of a tie between competitors, there will be a 60 second “run off” to determine the winner.